Welcome to the fifth special Issue of the SHAPE Journal. This Special does not deliver a final solution to the Origin of Life on Earth, but it does both ask and answer many of the crucial questions without which such a task would be impossible. It defines a new and necessary standpoint for a scientific attempt on this question, which has from the outset been forced to abandon the current, universally accepted ground for all scientific work. It has had to turn its back upon Plurality (the Whole and its Parts), Universal Reductionism, Formal Logic and the wholly idealistic belief in Reality being the product of eternal formal laws, and replace all of these with a steadfastly holisitic view, which turns out to be the only way to address revolutionary Qualitative Changes as are clearly involved in this stupendous Event. It turns away from the Sciences of Stability and towards the Science of Qualitative Change, and to do this, extracts from a wide range of similar Emergence Events, what must be involved to create the Wholly New. But, to make such a switch is, without doubt, highly dangerous, because unlike the consensus standpoint in the Stability Sciences there is NO well-defined and soundly established standpoint and tested methodology. Nowhere can a holisitic scientific standpoint be looked up and implemented. It has had to be devised! And because of this, it will necessarily be incomplete. Nevertheless, the gains that came from even a few sound holistic priciples, and a great deal of research, have made the outlines of such an approach conceivable and indeed applicable too. The crucial and necessary task was to rescue Miller's wonderful experiment from its unavoidable cul-de-sac, in which, though it was able to demonstrate that amino acids could be naturally produced from an emulation of the Earth's primaeval atmosphere and shallow tropical seas, it could not reveal how this had happened. To intervene in such a complex natural process to check what was going on would have broken the isolation necessary to make it entirely self-moving. But, by employing the new standpoint and using the latest available techniques, those weaknesses have been solved, and a major part of this Special Issue is in a long paper defining the New Miller's Experiment. Other questions, answered incorrectly by many at present, who are more influenced by the need to acquire funding or join the consensus, than in finding the truth, had to be properly established as part of this approach. The questions "Where? ", "What? ", "How? ", "When? ", and "Why?" were addressed, and many important discoveries found, which turned out to be vital in tackling this, the most important of all current scientific questions. A type of Truly Natural Selection, before Life had arrived, had to be established, and shown to be instrumental in a rapid, directed rush-to-order in this Event. And most important of all was the realisation of unavoidable osciallation between long-term stability, and episodic revolutionary Emergence Events, which constitute the actual rhythm of Development in Reality. This was finally released in 2010 as The Theory of Emergences, and published in a previous Special on this Journal. 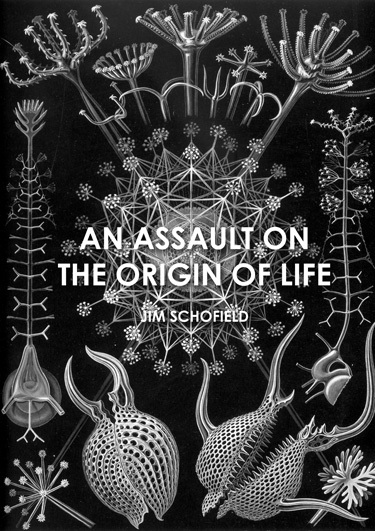 Finally, the various build-up-to and analyse-down-to routes to the Origin of Life were shown to be profoundly mistaken, and the essential nature of both DNA and the Cell as being the point at which Life actually appeared, debunked to allow the addressing of the real questions. I have now contributed six years to tackling these questions, and I hope that this initial Special (there will also be several others) will help others to also tread the new exciting path of Qualitative Holistic Science that is being erected now!